Dedicated computer aided detection (CAD)-software for automated breast ultrasound has the potential to improve the cancer detection rates of radiologists screening for breast cancer, according to new research published in the European Journal of Radiology. 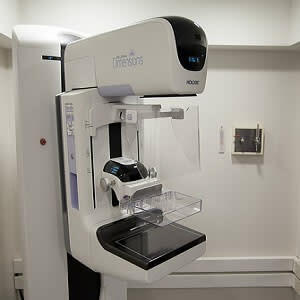 Mammography surveillance programmes have shown to reduce deaths from breast cancer. 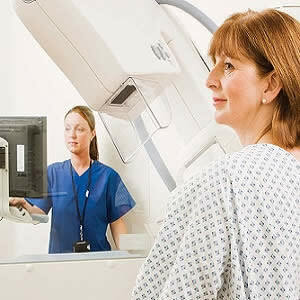 However, the sensitivity of mammography is suboptimal, and decreases in women with “dense breasts”. Breast ultrasound is increasingly being used as an adjunct to mammographic screening. 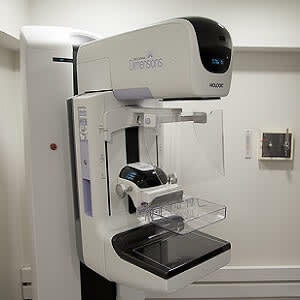 Handheld ultrasound (HHUS) and automated 3D breast ultrasound systems (ABUS) have been reported to increase the cancer detection rate as a supplement to mammographic screening in women with dense breasts. ABUS is primarily developed for screening. However, for a full coverage of both breasts ABUS consists of two to five acquisitions per breast. Each acquisition contains over 300 transverse images and reconstructions in coronal and sagittal planes. Consequently, the large size of the ABUS volumes might cause oversight errors in some malignancies. Accurate CAD-software may help to detect cancers in ABUS datasets and might improve efficiency in the workflow of radiologists. However, the optimal method of implementing CAD-software in the reading process is unknown. In this study, researchers compared the diagnostic accuracy of radiologists screening ABUS scans for breast cancer with and without CAD-software support. Ninety ABUS views of 90 patients were randomly selected from a multicentre archive; this dataset included normal cases (n = 40) with >1 year of follow-up, benign (n = 30) lesions that were either biopsied or remained stable, and malignant lesions (n = 20). Six readers evaluated all cases with and without CAD in two sessions. Results showed that, without CAD, the average area-under-the-curve (AUC) of the readers was 0.77 and significantly improved with CAD to 0.84 (p = 0.001). Sensitivity of all readers improved (range 5.2–10.6%) by using CAD but specificity decreased in four out of six readers (range 1.4–5.7%). No significant difference was observed in the AUC between experienced radiologists and residents both with and without CAD. Commercially available CAD-software, such as the one used in this study, includes conventional CAD-marks and an intelligent minimum intensity projection of the breast tissue. "CAD can help to avoid oversight errors by radiologists, if the CAD-software does detect the cancer and the radiologist does not ignore the CAD result. Moreover, by marking lesions as being suspicious the frequency of interpretation errors might be reduced," the authors write. "However, too many CAD marks might result in a diminishing confidence of readers in the CAD system, and hence a failure of the CAD system to improve reader performance. In this study we adjusted the average number of marks to one per view. This appeared to be an acceptable setting for the readers."